The CSU community and the Greater Cleveland community is invited to attend the UNESCO World Poetry Day Celebration at Cleveland State University Library. The first event, Poetry in Translation, will be held in the Library's 3rd Floor Special Collections room from 2:00 p.m. to 3:00 p.m. Dr. Karen Kovacik, Director of Creative Writing, Indiana University- Purdue University Indianapolis, and alumna, Cleveland State University English Department is the keynote speaker who will present 'Casting Violets into a Crucible': The Art of Translating Three Contemporary Polish Women Poets. Dr. Kovacik provides insights into the delicate, often treacherous process of bringing a poem from one language into another. She will read a selection of poems in English translation by three Polish women poets with whom she worked during her sabbatical year on a Fulbright Research Grant to Warsaw. A reception will follow the lecture. Events are free and open to the public. They take place at the Cleveland State University Library in Rhodes Tower, located at 1822 East 22nd Street. 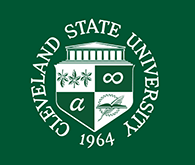 Cleveland State University is an Affirmative Action/Equal Opportunity Employer. Posted 2006-03-14 11:59:07 by Lauren_Felder.